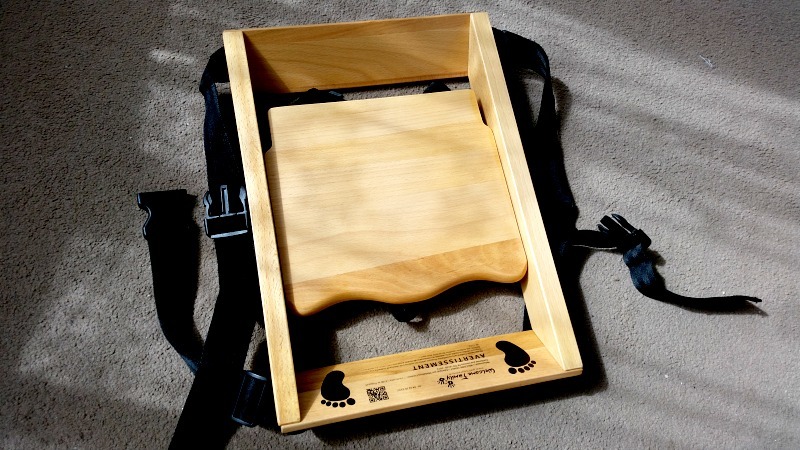 Just before our holiday, we were sent a booster seat from Welcome Family to test out whether it is indeed handy for travelling. On arrival, I was very impressed with how compact it is and that it wouldn't take up much room in the car. When we arrived we did find that there were only benches and no chairs to use in our caravan!! 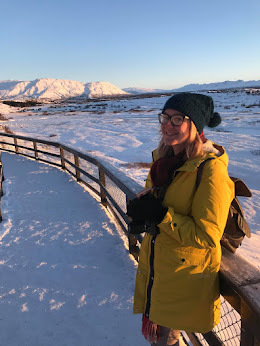 Typical, but the benches were safe enough for Elsie to sit on to eat anyway which wasn't a problem. We were surprised when we realised that the booster seat fitted in the basket of the pushchair which made it so handy to take to the entertainment in the evenings. 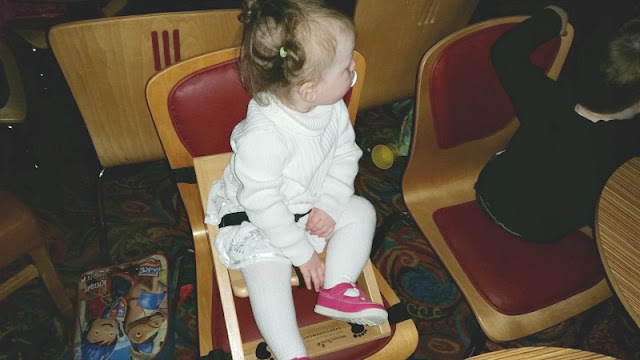 My kids had been looking forward to the night time entertainment at Haven for months leading up to our holiday and it was so nice to be able to sit Elsie up at the table with the rest of us and not have to sit her in the pushchair or on our laps. She is a wild child and loves her freedom! It was the perfect height for her at the table and made her so happy to be able to see what was going on around her without feeling restricted. 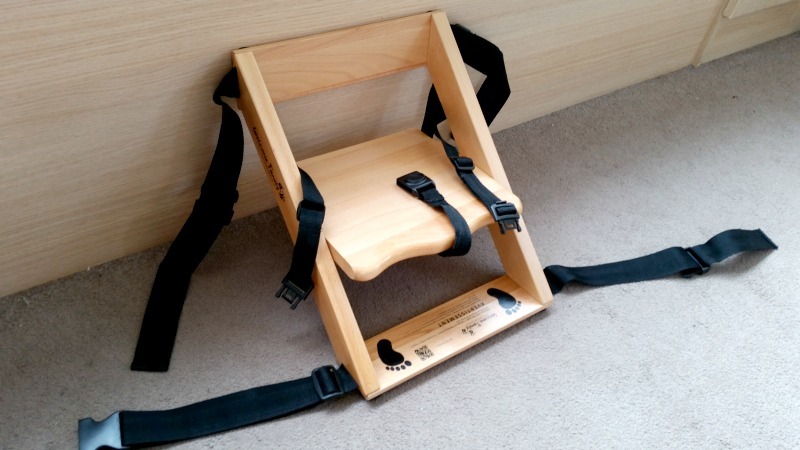 The booster seat has a secure belt, although like all other similar products it is designed to be used whilst aided by an adult for safety reasons. As it is wooden, it is easily cleaned and could simply be wiped down with anti bacterial wipes. The wood is very good quality and very sturdy. The fact it takes just minutes to open up and attach to a chair is so handy. It is suitable from 6 months to roughly 3 years old. We used the booster seat every evening, it came in so handy and Elsie really loved it. Once our kitchen is finished and we have a usable dining table, I can see it being a very well-used bit of kit in our house! It will come in handy for going out for meals or visiting relatives too. *I received the item featured for the purpose of this review. All opinions are my own. Sounds very usefull with my childminding job too as i can store it easy. Thanks for helpful review.